On July 14, 2018, a woman was shopping at Walmart Neighborhood Market, located at 750 Lynn Garden Drive in Kingsport. After loading her purchases into her car, she inadvertently left her wallet/smartphone case in a shopping cart when she returned it to the rack in the parking lot. 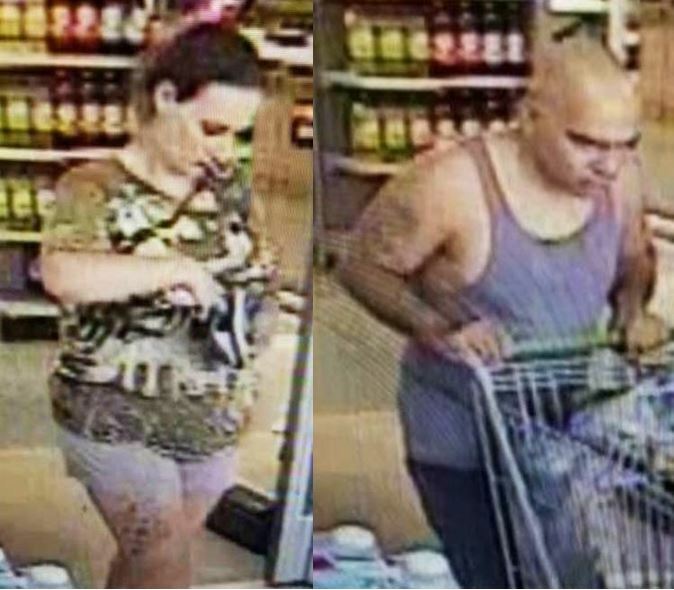 An employee found the wallet when he was collecting the carts, and asked a couple parked in the space next to the rack if it belonged to them. Although it in fact did not belong to either one of them, they falsely claimed that it did and unlawfully took possession of it from the employee, constituting the offense of theft. The wallet/smartphone case contained a $900 Samsung Galaxy S8 phone, assorted debit and credit cards, approximately $40 cash, and the victim’s driver license and Social Security card. The suspect couple left the scene in a mid to late 1990s mid-sized sport utility vehicle (possibly a Ford Explorer or similarly styled vehicle) that was either silver or gold in color. Photos of the two suspects, taken from store surveillance video footage, have been included in this release. Anyone who recognizes either of them, or the described vehicle in which they were traveling, is asked to contact Detectives in the K.P.D. Criminal Investigations Division at 423-229-9429 or call Kingsport Central Dispatch at 423-246-9111.